Mountains of fruit and veg. Hadleigh was originally a market town, and the market place still hosts a market every Friday. 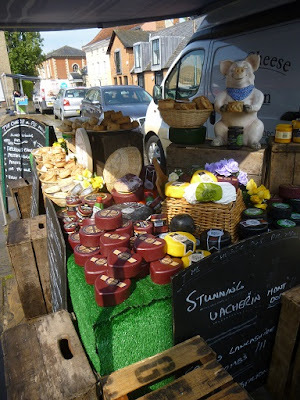 The market was one of the first things we discovered in Hadleigh – we moved out of our old house on a Thursday, and into our new house on Friday, so the market was in full swing as I hurried past to buy something essential (light bulbs? Flash? I no longer remember). 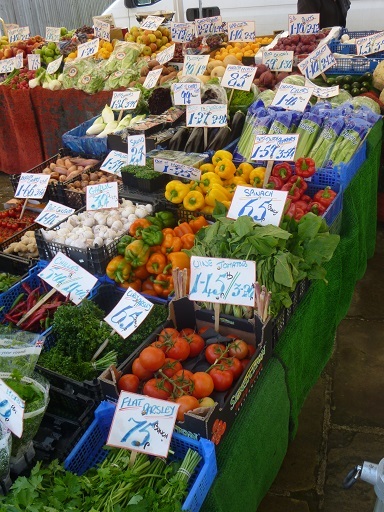 The greengrocers stall, a riot of colourful fruit and veg, was always a stalwart, even if some of the other stalls vary from week to week. The fish van is one of the regulars, and I have vivid memories of a bargain side of salmon that was one of the first things I attempted cooking in the elderly Aga when we invited people round for a celebration meal. I still haven’t been brave enough to try jellied eels. The cheerful Cheese & Pie Man is a regular presence most weeks, with unusual pies, sausage rolls and assorted delicious if expensive cheeses with strange names. One of Bob’s Knobs proved a perfect birthday present for a fan of both cheese and double entendres. I’ve bought books to support cancer research at the market, got keys copied, a knife sharpened, watched my children get their faces painted and we even acquired a log basket from the basket stall. 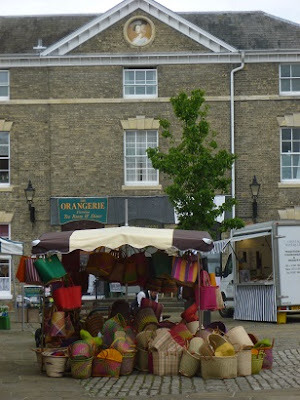 French baskets in a Suffolk town. Obviously. 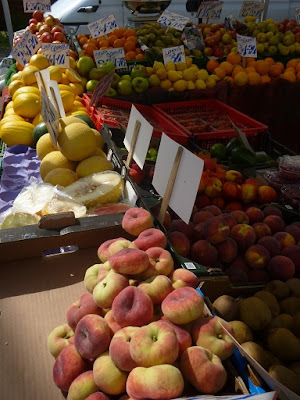 But now the market manager is due to retire, and the greengrocers stall has brown bagged its last fruit and veg and will no longer be setting up every Friday. The brilliantly named Butch and Tina are off to pursue their main source of income elsewhere, according to that august publication, Hadleigh Community News. Meanwhile the local council have asked for views on how to revitalise the market, and I do hope it survives and thrives. I’m more than aware that I don’t support the market as much as I could, lured away by the convenience and availability at the local supermarkets. 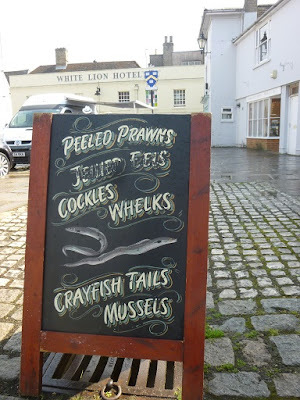 But I would still miss the market very much if it dwindled away, as a colourful connection to Hadleigh’s past, and I hope part of its living future. Do you like markets? 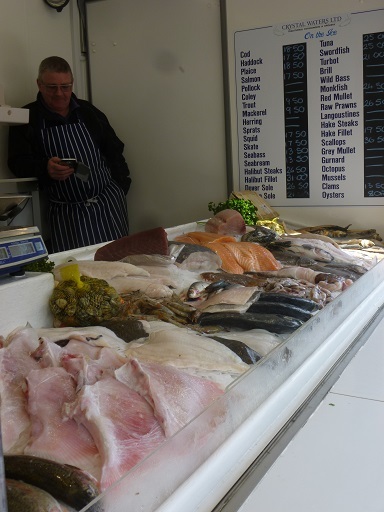 Which stalls would you like to see on your ideal market? Woo hoo would be great if you fancied a trip to Hadleigh (do call in for a cup of tea!) but fear the market isn't at its best at the moment. 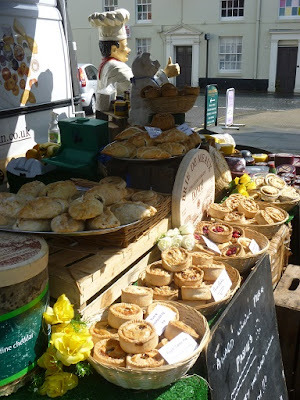 The pieman is at Framlingham and saxmundham – if it's the same one and I've never understood how he is allowed to have everything standing about all unwrapped, people, dogs and traffic passing by – never fancied anything after thinking about coughs and sneezes – Yuck. Ipswich market was pretty busy when I nipped into town on Friday – lots of different stalls, plenty of people and a carousel with cheerful music. Distinct contrast with the couple of stalls in Hadleigh that morning. I agree, whenever I'm in town on a market day, it's busy. 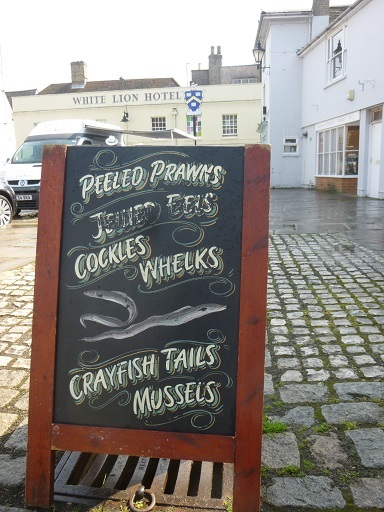 I always stop at the fish stall for a pint of prawns! I love markets and try to support local stalls. In my little town there are only a few stalls left, but in a city nearby there's an organic market once a week and a regular market twice a week. I love the bakers stall the most, and the fruit and vegetable stalls off course. I need to contact the fishman. Does anyone have the telephone number? Good luck tracking the fishman down!